Nicola graduated with an LLB (Hons) from Coventry University in 1995 and continued her studies at the College of Law, Chester, graduating in 1996 and then at the Institute of Professional Legal Studies, Belfast before being admitted to the Roll of Solicitors in 1999. 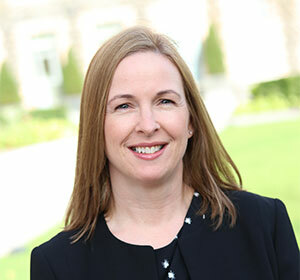 Nicola joined Magennis & Creighton in 2002 and became a Partner in 2011. Nicola specialises in Wills, Probate and the Administration of Estates. She has considerable experience in the drafting of Wills and the administration of an Estate in the event of a death. On occasion she has been able to provide invaluable assistance to families in situations where administering the Estate has been contentious. Nicola can also provide expert advice with the preparation of Controllership Applications and the registration of Enduring Powers of Attorney. Nicola is currently working towards obtaining her STEP (Society of Trust and Estate Practitioners) Diploma. ‘STEP’ is a professional body made up of lawyers, accountants, financial advisors working in the area of trusts and estate planning. Nicola also specialises in Litigation including Personal Injury Claims, Employer’s Liability, Road Traffic Accidents, Medical Negligence and Occupier’s Liability. She is a member of the Association of Personal Injury Lawyers. Nicola has extensive experience in all aspects of Divorce and the Division of Matrimonial Assets by way of a negotiated Matrimonial Agreement or through formal court proceedings. Nicola has also broad experience in Residence and Contact for children and Non-Molestation and Occupation Orders. Nicola also has extensive experience of Legal Aid and can advise regarding your entitlement to assistance with legal costs.